Some of you may not be aware of our presence on YouTube as most of our communication is either through this blog, or our Facebook group. Well if you haven't checked out our YouTube channel yet then there's no better time to than now! We have lots video guides and plenty of brand new content planned, and by subscribing you will be notified for each and every one. Behind the scenes videos at Team Profit! So make sure you click subscribe, and the bell notification to keep updated with what's going. The bell notification will allow you to receive every notification for each video we upload. It should look something like this when clicked. Once you've done that, you're good to go! 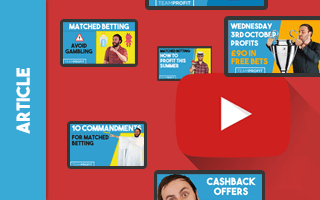 So sit back, relax, and watch some (hopefully) fun videos to help you maximise your profits and continue to make money!